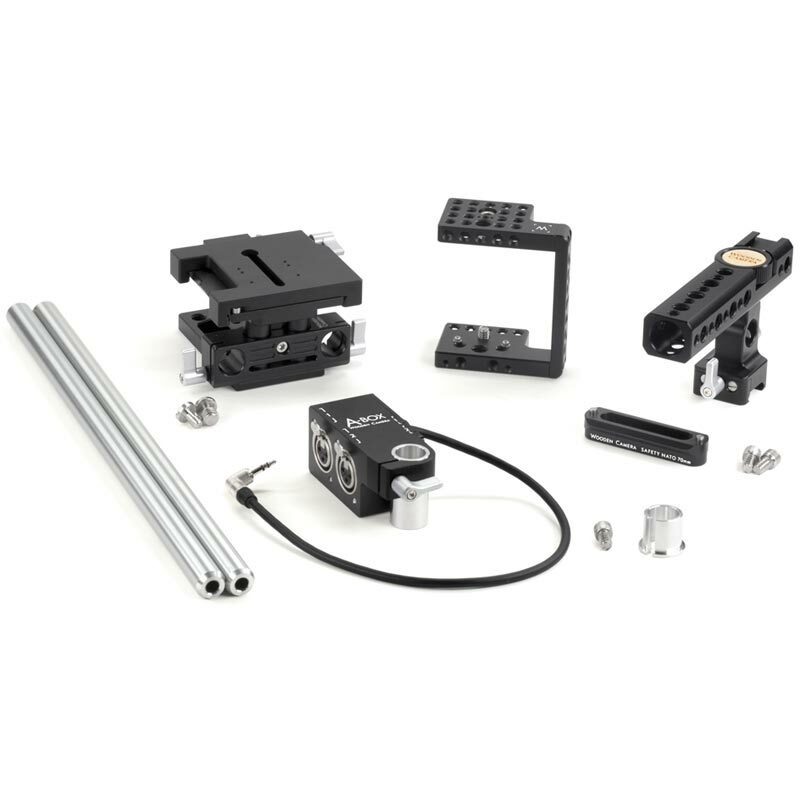 Quick Kit (Pocket) is a quick release baseplate package designed for the Blackmagic Design Pocket Cinema Camera. The Pocket Cage holds the camera securely by 2 screws and 4 locating pins while the quick release 15mm baseplate attaches to the bottom to hold the 15mm Rods (12") at the correct lens height. 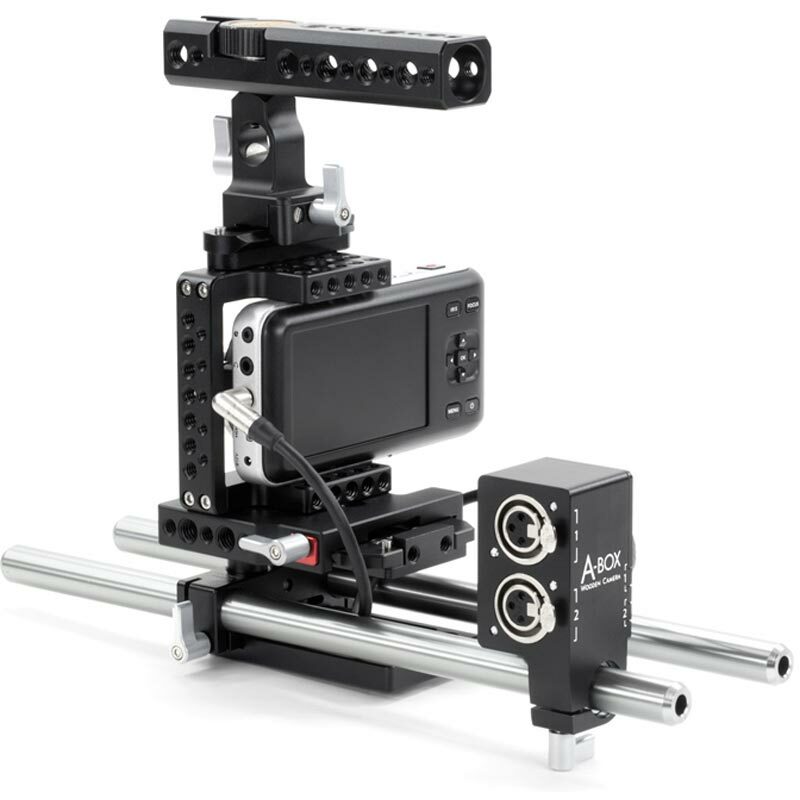 Quick release NATO Handle Kit (Cheese, 70mm) for camera carrying and A-Box audio adapter for XLR inputs. 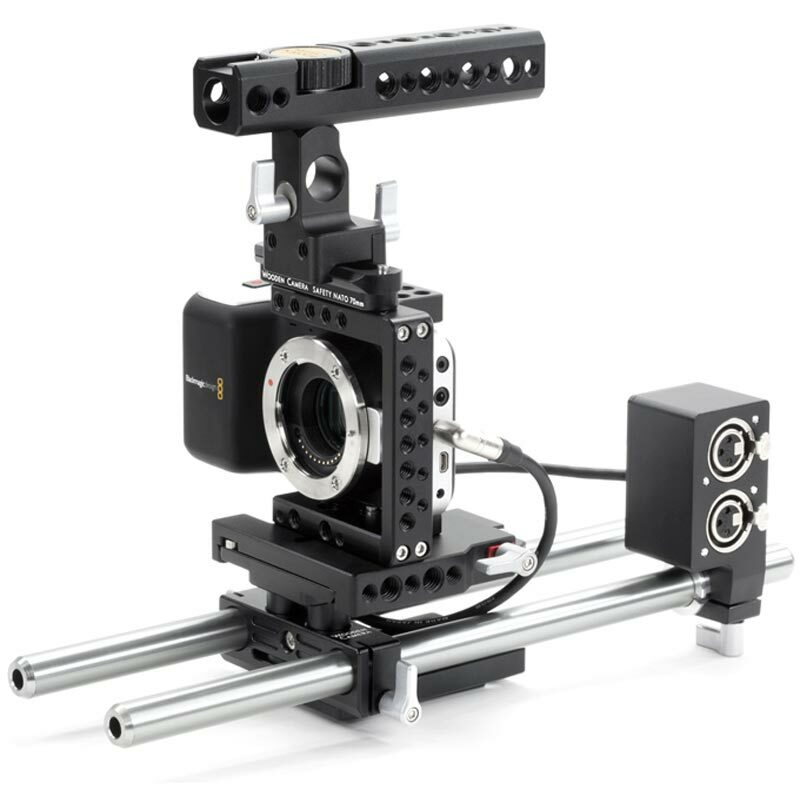 The minimalist design gives you mounting points on the top, side, and bottom while leaving all of the camera's vital controls on the right grip and left side easily viewable and accessible. Once quick released, the battery door opens freely for SD card and battery changes. Combine with Pocket Lock (HDMI) and Pocket Lock (Power) for port protection and added connector security (sold separately).